This accent chair exudes laidback comfort with swagger. 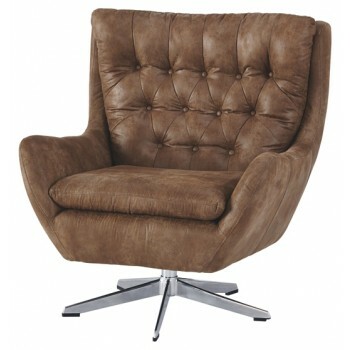 Wingback silhouette with supportive tufted back has a rugged cool vibe. Distressed brown fabric boasts the look of supple leather. Flaunt your dapper style all around with 360-degree swivel.